We’re happy to announce a huge LA Splash restock that came in today! All the backorders came in, as well as a few brand new limited edition shades! Please make sure to come by and take a look! Also, sadly we need to say that the price will increase to $14.50 CAD or $13.99 USD (coming from the distributor’s side sorry guys!). 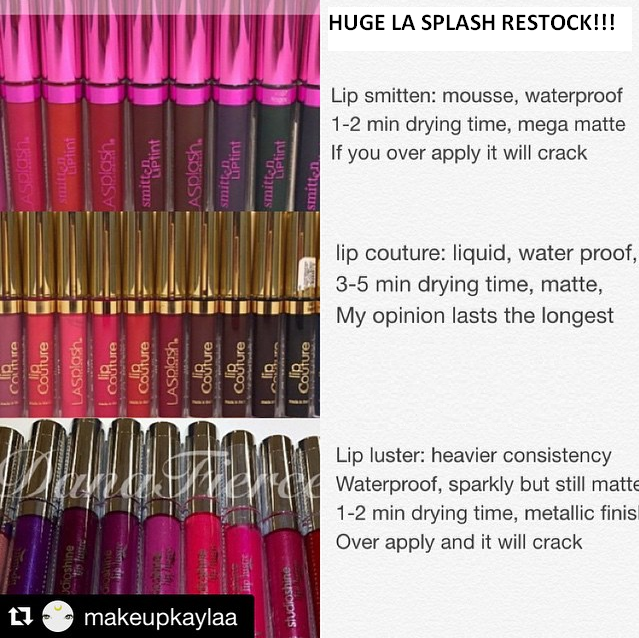 This entry was posted in Back in Stock, MakeupJoke, New Arrivals and tagged LA Splash, LA Splash Lip Couture, la splash lip lustre, LA Splash Smitten Lip Tint, New Arrivals, restock by phoenixbeautylounge. Bookmark the permalink.